Is there a tune-up kit offered for the Model 259 (and 259G) Impactool? Tune-Up Kit part number 259-TK1 (ccn 45663796) is compatible with both the 259 and 259G Impactools. 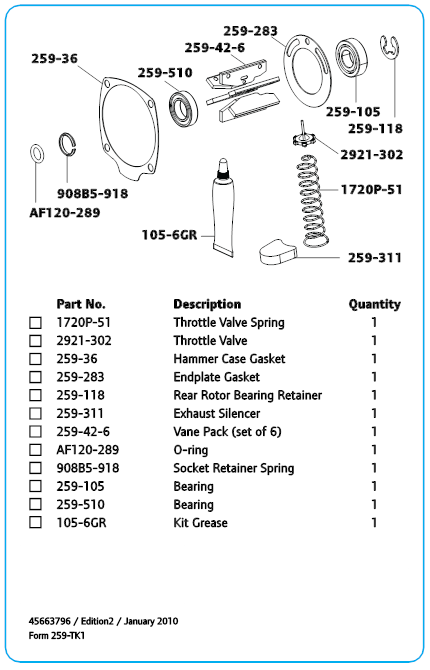 The contents of the 259 tune-up Kit are below (other tune-up kits are similar).